China is a large country that one can never have enough of, especially with the uncountable districts and provinces grown within. Today’s deal takes you to yet another province, Jiu zhai gou, which offers numerous scenic views that made it into the UNESCO Heritage Site. Visit the legendary Mount E’Mei, where the first Buddhist Temple was built in the 1st century and also featured in various blockbuster movies. Take a closer look at China’s mascot, panda bears, with a trip to the panda breeding research base. You also get to try numerous local cuisines during the whole trip. 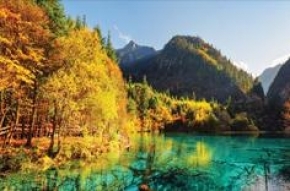 Grab this DEAL today and be amazed by all the wonders China has to offer.